A film fest for you and your furry, four-legged best friend is coming to Longmont on July 31. 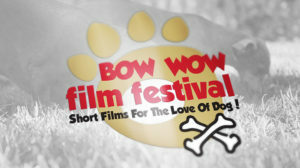 The Bow Wow Film Festival, a dog-centric short-film series, will host a showing at the Tasty Weasel Tap Room. The event, in its inaugural year, was started by Longmont resident Susan Kelley, who was looking for a way to help animal shelters around the state. She said she was volunteering at the Longmont Humane Society, thinking of ways to help. She has a background in film and realized a film festival, where the proceeds went directly to a local animal shelter, would be an easy way to help shelters financially. The film series has been traveling throughout the state this summer and just hosted screenings in Boulder and Glenwood Springs. It will also be hosting screenings in other states, including California and Minnesota. All the ticket sales go directly to the shelters. “We sold out in Boulder and had a great response in Glenwood Springs,” Kelley said. She teamed up with the founders of the Fly Fishing Film Tour, an annual film tour created by Boulder residents Chris Keig and Wade Brantley, to help her organize the festival. The event consists of 10 short films, runs about two hours and features filmmakers from all over the country plus the United Kingdom. Maya Key, events and education manager at the Longmont Humane Society, said a third-party event like the Bow Wow Film Festival is always helpful, especially because the shelter doesn’t have a lot of manpower available for fundraising. Film festival organizers are expecting about 200 people at the Longmont screening. All the short films are about dogs and celebrate what they mean to humans. “We just made it very much a celebration of dogs and our relationships with dogs and what that means to us,” Kelley said.